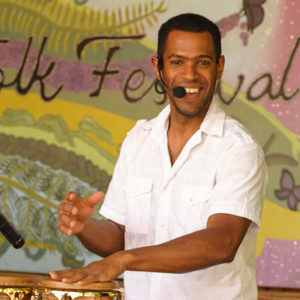 Frailan began playing percussion at the age of nine in The Vocational School of Art, a specialised music school in Cuba. At the age of 19, he obtained the degree of Instrumentalist-Teacher of Percussion and Practice of Conjunto Music from the National School of Music in Havana, Cuba, where he subsequently taught. Based in Ireland since 2005 and bringing with him all the authentic Cuban flavor and folklore from his homeland, he joined the Irish music scene immediately upon arrival. He has been involved in numerous music projects, such as The Pale, Hada to Hada, Havana Son, Lunfardia, Cuarteto Floridita, Song of Nations, Republic of Loose, Sabor Cubano and many more. He is currently teaching Classical Percussion, Percussion, and Drums in Kylemore College CDVEC Music Centre in Ballyfermot, Dublin. Frailan is proud to be a part of Baile An Salsa, the first Irish-Trad fusion band in Ireland, and he loves spreading happiness amongst his audiences through music.